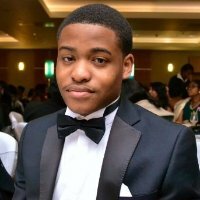 Being the President of the African and Caribbean Society, the Vice President of the Model United Nations Society and a trustee at Politics Exposed Society it is easy to see that I have immersed myself in a number of projects. To add to this, I am an active member of the debating society. How do I manage to juggle all my responsibilities with my studies? Simple- time management. With regards to time management, I believe the most important thing is prioritisation, especially in a situation where you have many commitments and responsibilities. At university, your main priority should be your education but you have to learn how to study effectively so that you can make the most of your time. Planning ahead by ordering all your tasks into one list so you know what to do at specific times isn’t a bad idea! If experience has taught me anything, it is that being actively involved in a number of different societies can be quite challenging and can be very stressful especially when you are responsible for the society itself. For instance, in March we had a cultural show called Charisma, which was organised to help out a charity. Being one of our biggest events, the planning was quite intensive and challenging in terms of time consumption, especially bearing in mind that I was juggling all of this with coursework and essay deadlines. One major piece of advice that I can give is to embark on things you are passionate about. Helping out the charity was something that was very close to my heart, so it did not feel like work or a chore. You can adapt to things by learning to be passionate about your responsibilities and striving to deliver the best you can. Planning ahead of time is essential for an undergraduate with a busy extra-curricular schedule, so completing coursework way before the deadline is a good way of staying on top of things.